Mr. Gleason is a founding member and partner with the firm since its inception. He graduated with High Honors from the Illinois Institute of Technology in 2001 with a Bachelor’s of Science degree in Pre-Professional Political Science. He earned his Juris Doctor from Chicago-Kent College of Law in 2003. While at Chicago-Kent he was an inaugural member of the Honors Law Program and worked in the school’s in-house law clinic. 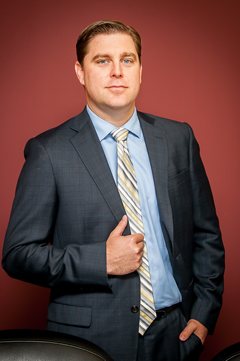 Mr. Gleason concentrates his practice in the general representation of school and municipal clients. In representing these entities, he routinely counsels clients on employee rights and benefits, student rights/discipline, Open Meetings Act and FOIA compliance. He also advises clients through the collective bargaining process and has negotiated with various groups of employees for both schools and municipal clients. In addition to these practice areas, he also regularly represents clients in various litigation matters and through all phases of litigation including trial and appeal. He has also represented numerous clients before the Illinois Appellate Court, the Illinois Supreme Court, and the U.S. Court of Appeals for the Seventh Circuit. His experience includes cases involving sexual assault, premises liability, student discipline, student residency, improper non-renewals under the School Code, Title VI, Title VII, Title IX, ADEA, ADA, equal protection, due process, willful and wanton supervision, First Amendment claims, conspiracy claims, retaliation claims, excessive force, unlawful search and seizure, the Surface Transportation Assistance Act, construction disputes, breach of contract claims and tenured teacher dismissal cases.